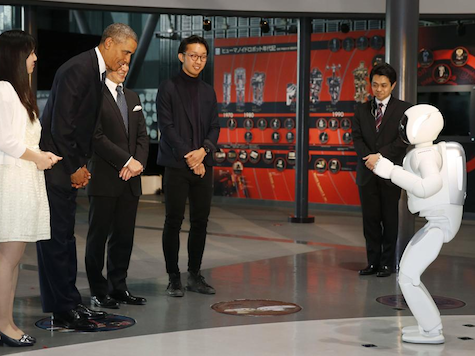 On the second day of his visit to Japan Thursday, President Barack Obama toured the country’s National Museum of Emerging Science and Innovation where he came face to face with the tiny Honda-built humanoid robot ASIMO. “It’s nice to meet you,” the robot said in a metallic voice, welcoming Obama to the facility. It then proceeded to run around and kick a soccer ball at the commander-in-chief, who deftly stopped it. © 2017 HonestHelp - All Rights Reserved.